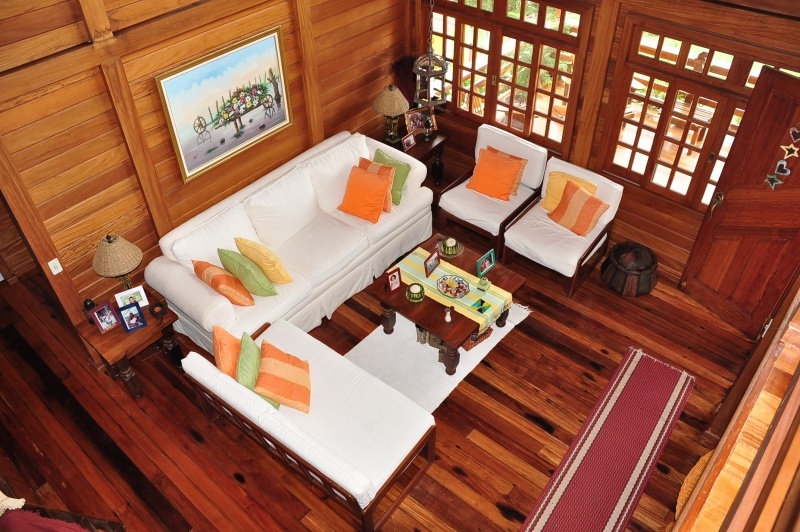 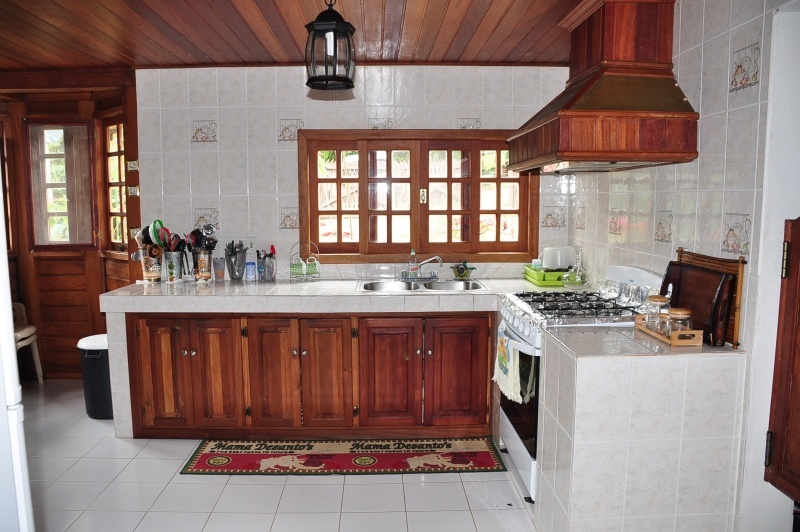 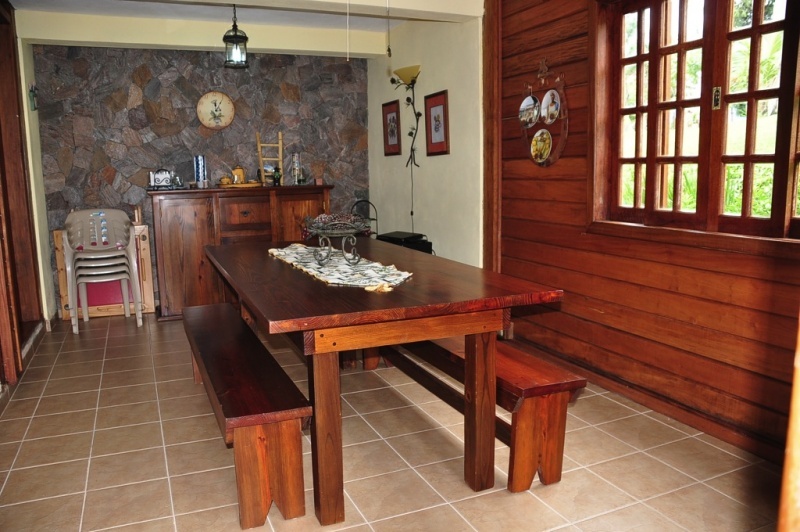 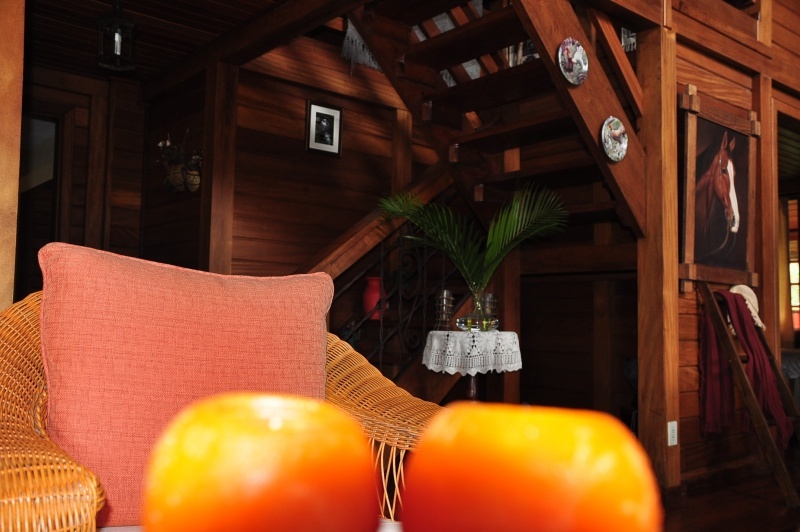 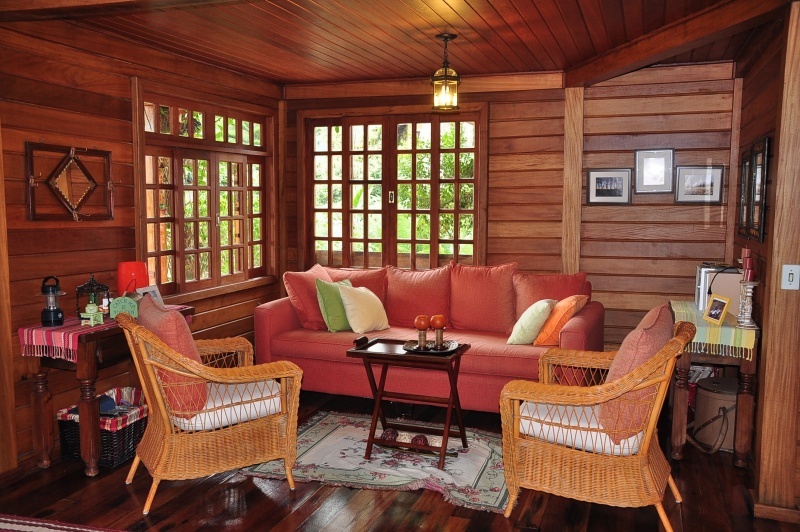 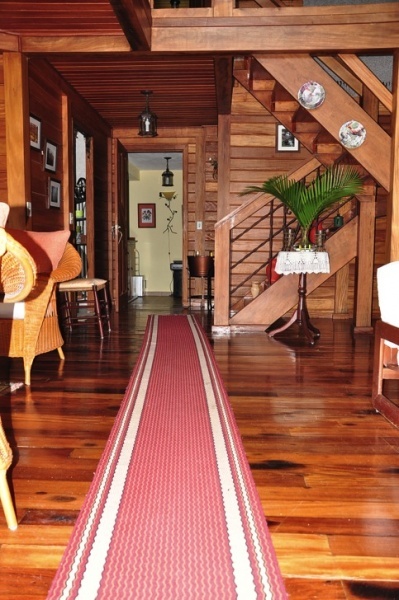 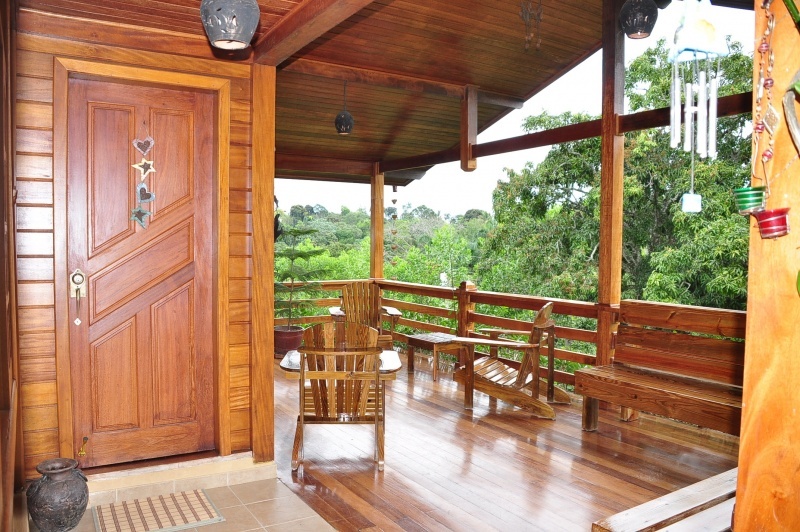 Tucked away this marvelous log cabin for sale in Jarabacoa, Dominican Republic is fully furnished with opened terraces that capture the view of the mountain range that surrounds it. 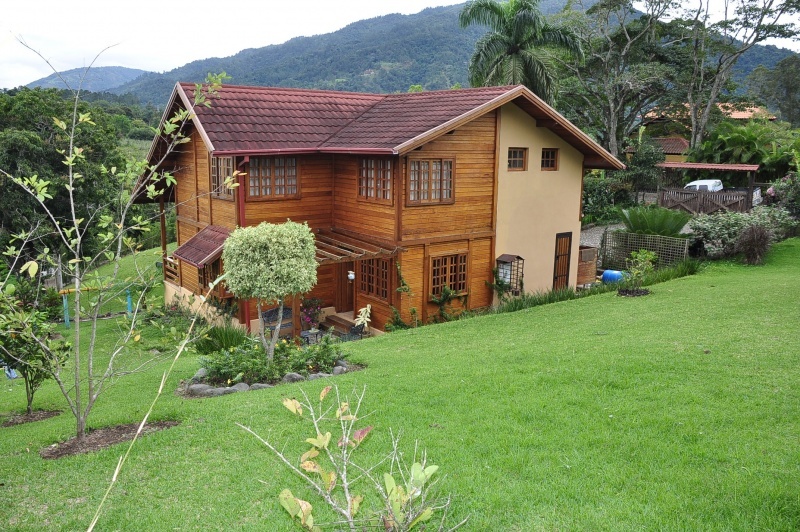 700 sq mts of comun area. 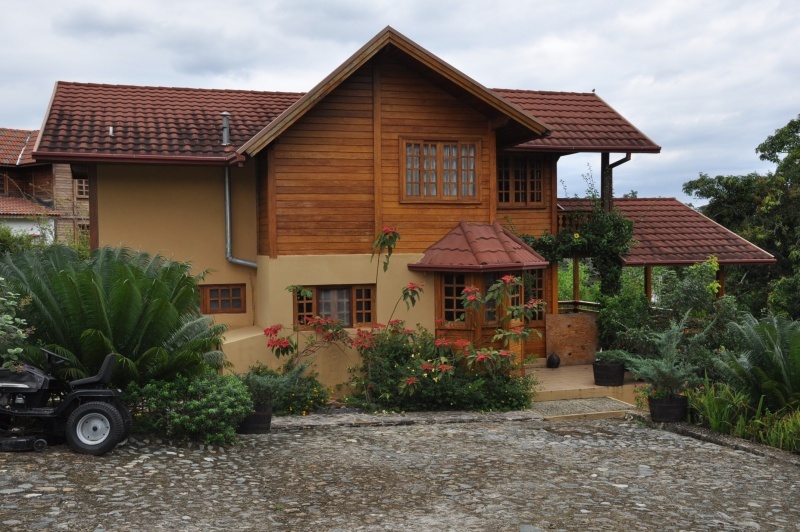 It also has water heater and cistern, and even a satellite dish. 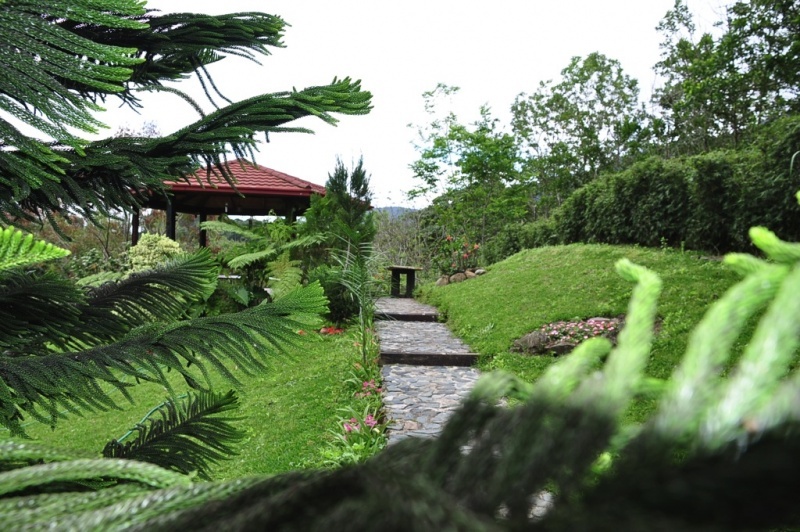 The grounds are so green and full of quiet spots to sit and relax and enjoy the smell of pine trees and view of the mountain range.